But there is a growing feeling at Anfield that this will be the season Liverpool finally ends their 29-year wait to be crowned kings of English football. For fourth-placed Chelsea, the loss was a blow to their bid for Champions League football next season and they will drop to fifth if Arsenal wins at Watford on Monday. 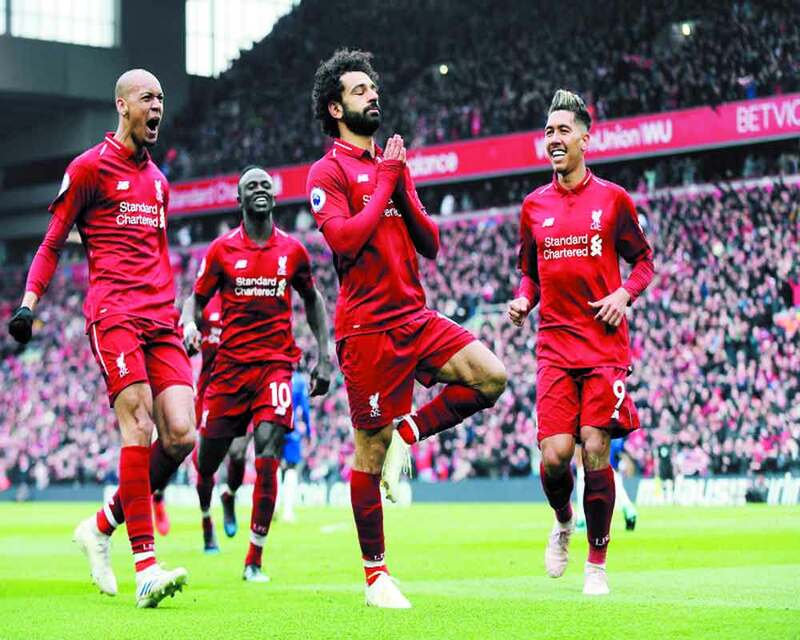 And Salah, a practising Muslim, celebrated his 22nd goal of the season by adopting a prayer position in front of the Kop. Hazard should have reduced the deficit, but twice the Belgian couldn't find the net from close-range as Liverpool moved a step closer to their holy grail.